If you have been charged with a fraud, theft, or dishonesty offence, you need advice from Melbourne's expert criminal defence lawyers. Have you been charged with a fraud, theft, or dishonesty offence? Fraud, theft, and dishonesty convictions can have a long term impact and any such offence should be dealt with seriously. 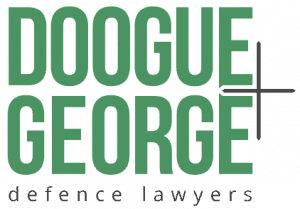 Doogue + George are experienced in defending every type of fraud, theft, or dishonesty charge and also achieving the best outcome for people who are pleading guilty to these charges. Fraud offences vary from computer fraud and tax fraud to government fraud. These charges cover small amounts to offences involving millions of dollars. The same is true for theft and dishonesty offences. In this section of the website, you will find an extensive number of articles about these offences as well as relevant penalties and real case studies with actual results. Can the prosecution establish the link to the amount they claim? Is there another explanation for what happened? Serious criminal frauds, government frauds and elaborate financial transactions are very intense in terms of preparation, often requiring access to great forensic experts. Theft and dishonesty offences also require similar expertise. We can source these experts and present you with a strategy that will deliver you the best results. We have considerable experience dealing with financial crimes. Listed company – director to notify market operator of shareholdings etc. If you have been charged with a fraud, theft, or dishonesty offence and need advice or legal representation, call 03 9670 5111 or fill out the form to the right of this page to contact an experienced fraud lawyer.